At times it becomes quite hard for us to manage all of our stuff within a congested living space. The times are gone when our forefathers used to own acres of lands and the houses were pretty big in country side livings. Today we pay a lot against some very congested livings. 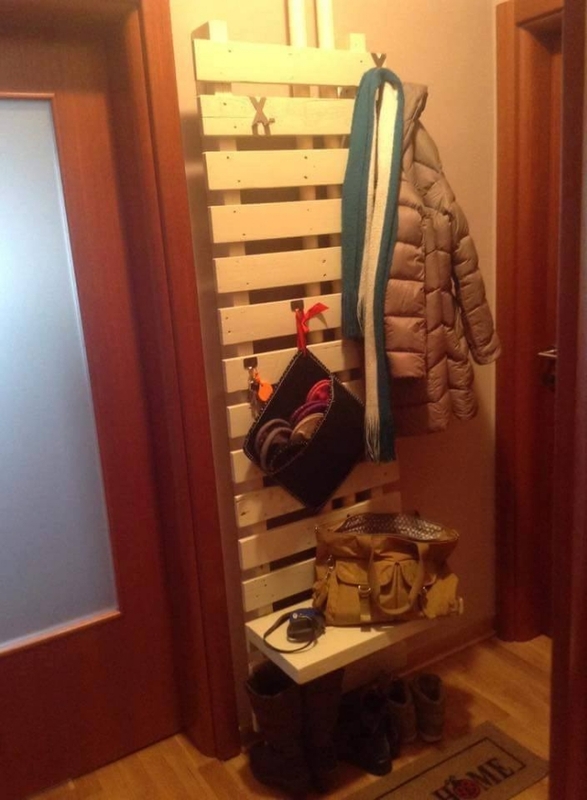 So if your all cabinets and drawers are already over stuffed and you do not find any space to hang your coat or purse, here is the solution of this matter. 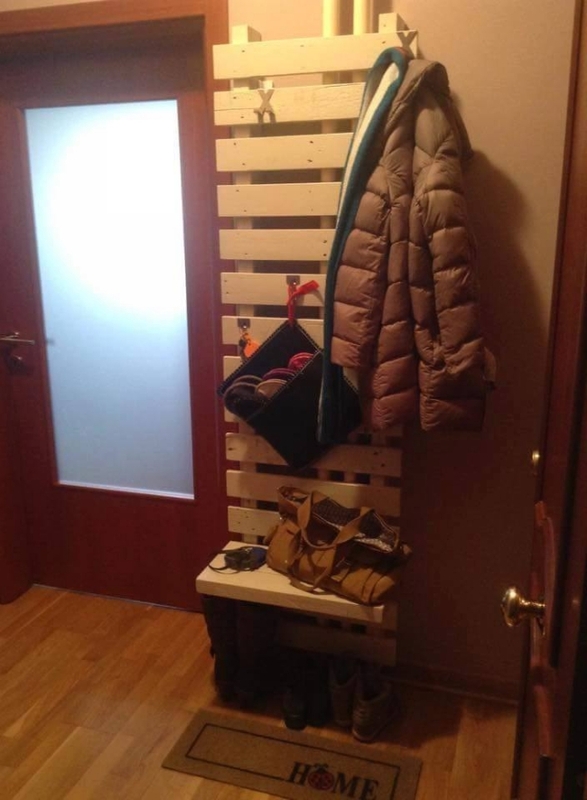 We are going to recycle a pallets to make coat or purse hanger which would cater all your daily needs of hanging. Though there are a lot of hanging hooks inside the clothing cabinets but you can not just go there and open it again and again, if you are sitting in the lobby or TV lounge, there should be a specified place where you could hang the things you are going to carry all the day long. So you just hang them for a while. 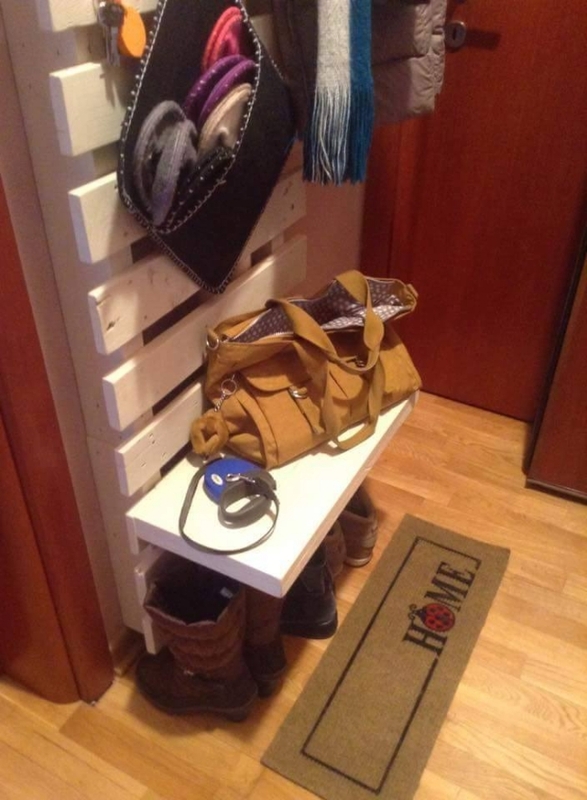 This pallet purse or coat hanger is a perfect remedy in this regard. And just like before, it is going to be very handy and cost effective. 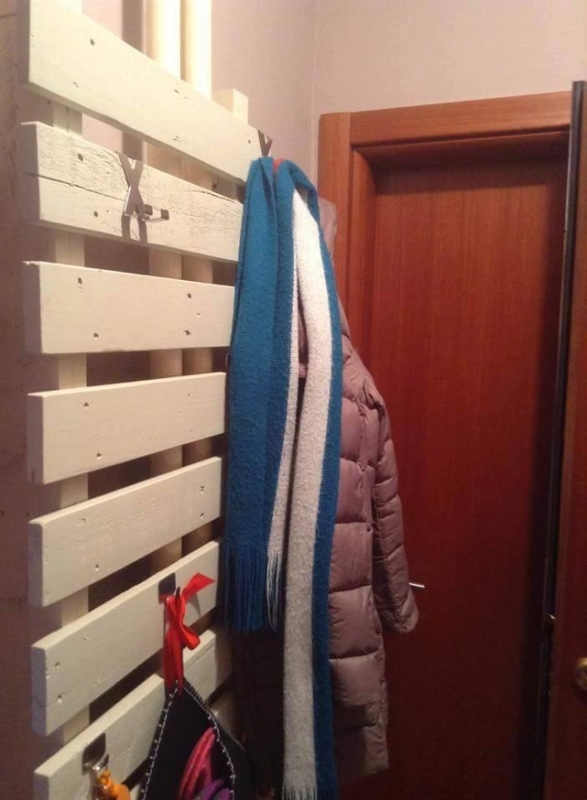 All you need is a couple of raw pallets and your favorite stain bucket. This is a long pallet coat and purse hanger. This is actually a long pallet shelf having multiple steps, and you can fix some metallic hooks on each step by nailing and fixing them. Plus there is also a small counter on the base where you can just place your heavy purse. 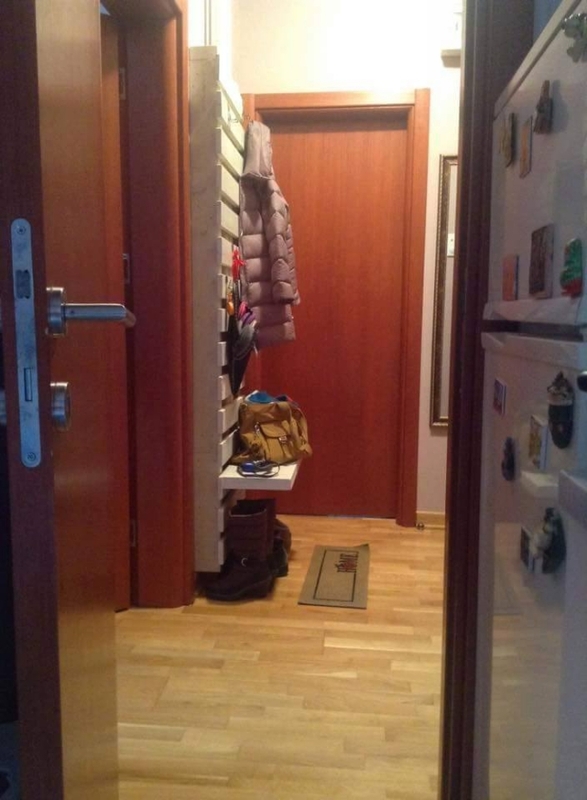 And you can also place your long shoes right below this outward bent shelf. This pallet shelf does not require any additional space, you can install it in any corner of the house and get the whole benefit.